RAVENOL EURO IV Truck 10W-40 is a universal multi-grade low friction UHPD engine oil based on a blend of of synthetic PAO and HC base oils in connection with the latest additive technology. Developed to meet the new exhaust gas emission directives for vehicles with exhaust gas return systems, it offers a low sulphur, phosphor and low ash content. 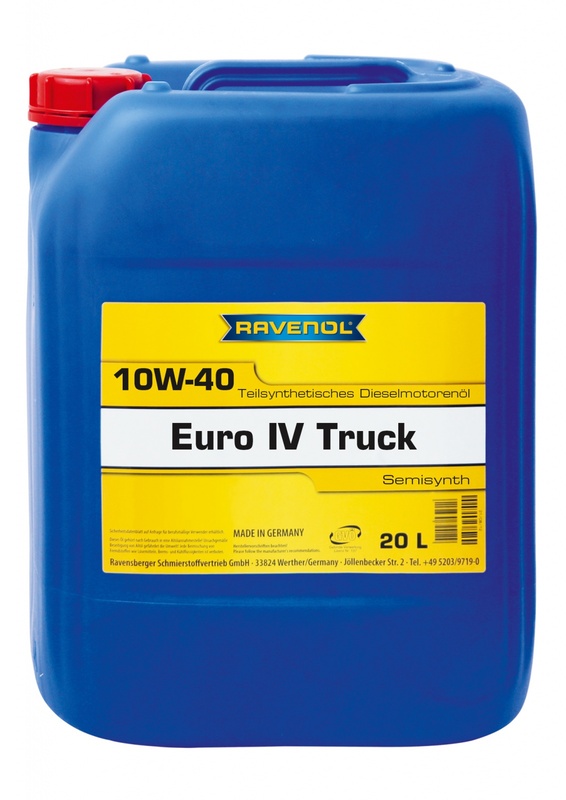 RAVENOL EURO IV Truck 10W-40 is suitable for the latest generation of 4-Stroke diesel engines with and without turbo charging found in trucks and buses, particularly those with special requirements for Diesel Particular Filters (DPF), and for the LOW SPAsh Technology. Suitable for EURO I, II, III, IV and EURO V engines.